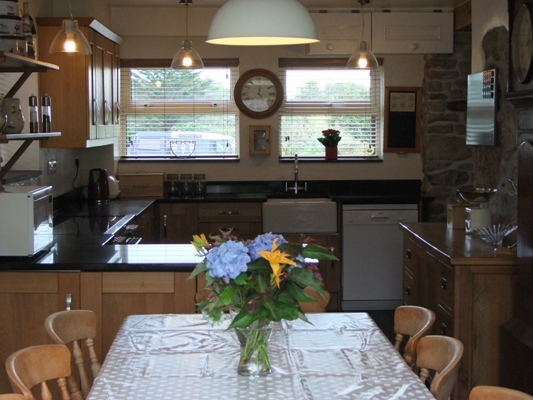 There is a large family kitchen/diner with modern range cooker, dishwasher with granite worksurfaces and seating for 8. 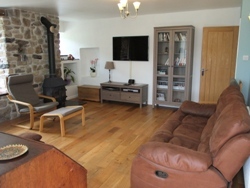 The lounge has solid oak flooring with woodburner and 46″ LED TV, DVD player, SKY & free WIFI.Seating for 8 including 2 reclining 3 seater sofasand 2 armchairs. A south facing conservatory with seating for 8 which leads out to a private enclosed garden with patio and outside seating, there is a climbing frame with swings and a slide for the children. Downstairs toilet with shower room. Large utility room with washing machine and tumble dryer and a cupboard ideal for storing rods and tackle. 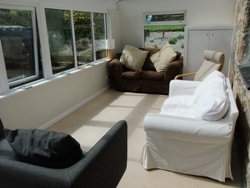 Upstairs there are 4 large bedrooms with views of the surrounding countryside. 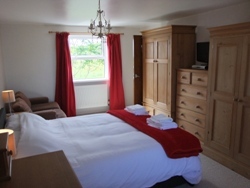 1 master king room with large ensuite and double shower and sky tv, 2 doubles & 1 twin. Large familybathroom. St. Ives is widely regarded as the jewel of Cornwall’s crown, a beautiful seaside town, set in breathtaking coastal scenery, enjoying a mild sub tropical climate. A historic fishing village where you will still find the boats nestled in the harbour after bringing in the days catch. St. Ives boasts five beautiful golden beaches of its o wn, from the family, friendly gentle waters on Porthminster, around to the wild waves of Porthmeor, renowned for its surfing. Take a trip on the branch line train and enjoy the scenic rail journey between St. Ives and St. Erth. Wind your way through the maze of tiny cobbled streets to discover an array of artists studios and galleries including the Tate Gallery, The Barbara Hepworth Museum, and the Leach Pottery. There are many small independant shops to explore and a variety of cafes and restaurants serving some of the finest cuisine. 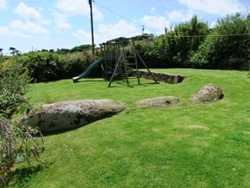 Amalwhidden Farm is a short walk from the Penwith Moors which links to Zennor and the coastal path, ideal for keen walkers. 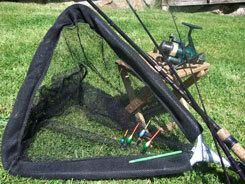 Coarse fishing is available on site. Horse riding is only 1 mile away. There are 2 golf courses within a 10 minute drive. 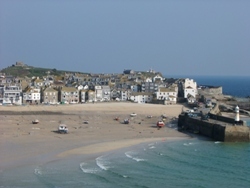 Pleasure boat and fishing trips can be arranged from the slipway in St Ives harbour. This is a great way to see the beauty of the Cornish coastline.